Sugar and sugary products are bad not only for your waistline, but for your brain function as well. Long-term consumption of sugar can create a wealth of neurological problems, and it can also interfere with your memory. On the other hand, sugar can also interfere with your ability to learn, this is why it is recommended to avoid pre-baked goods, sugar, corn syrup and products that are high in fructose. 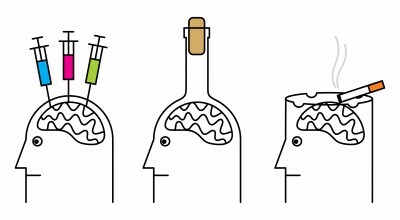 Alcohol is known to harm your liver in the long run, and it also causes what is known as “brain fog”. Like the name suggests, the term of brain fog refers to a feeling of mental confusion, it acts like a cloud that impacts your ability to think clearly, as well as your memory. Have you ever noticed that you cannot remember common item names, or you cannot recall certain events or you are not sure whether they were dreams or they actually happened? This might be influenced by the high alcohol intake which impacts the balance of the brain. Fortunately, these symptoms are reversible provided that you stop consuming alcohol, or you limit your intake to one or two drinks per week. A recent study that was performed at the University of Montreal has revealed that junk food can change the chemicals in the brains, thus leading to symptoms associated with depression and anxiety. Besides, foods that are high in fat can also trigger some symptoms that are similar to the signs of withdrawal when you stop consuming them. These foods affect the production of dopamine, an important chemical that promotes happiness and an overall feeling of well-being. Moreover, dopamine also supports the cognitive function, the learning capacity, alertness, motivation and memory. This is why it is important to avoid all foods that contain excessive fat. Almost all processed foods contain chemicals, dyes, additives, artificial flavors, preservatives and such – these can affect the behavior and the cognitive functioning due to the chemical that causes hyperactivity, both in children and in adults. Fried or processed foods slowly destroy the nerve cells located in the brain. However, some oils are more dangerous than others – sunflower oil is considered to be among the most toxic ones. 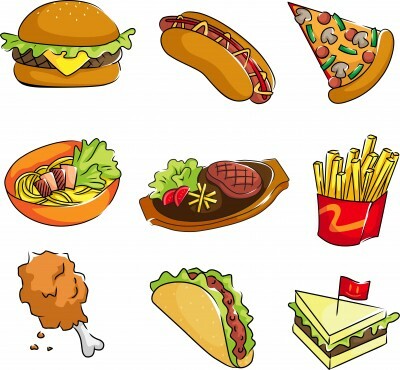 Just like fried foods, processed or pre-cooked foods also impact your central nervous system and they also increase the risk of developing a degenerative brain disorder later in live (such as Alzheimer’s disease). 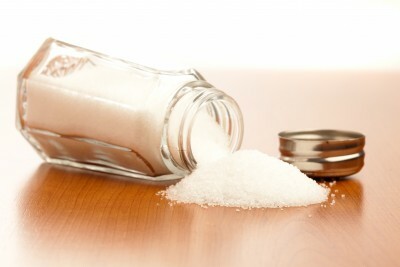 Everybody knows that salty foods affect your blood pressure and they are very hard on your heart. However, as research suggests, foods that contain high amounts of salt (sodium) can affect your cognitive function and impair your ability to think. Otherwise stated, salty foods affect your intelligence! As a matter of fact, the consumption of salty foods and nicotine have been shown to have the same effects as drugs, as they cause harsh withdrawal symptoms and cravings for salty foods. All sorts of grains have an impact on your brain functioning and your overall health, except for 100% whole grain which is very rich and fiber and it is known to prevent arterial aging. If you consume regular grains, your body risks to age quicker than it is supposed to and you can also experience memory loss and brain fog. Having said that, try swapping the regular carbs for the complex carbohydrates – all you need to do is to opt for whole grain bread! Proteins are the building blocks of muscles and they are very important for the proper functioning of your body. Meat is the richest source of high-quality protein, but avoid overly processed protein such as hot dogs, salami, sausages and such. Unlike the natural proteins that help your body insulate the nervous system, processed proteins do exactly the opposite. Opt for natural fish (especially tuna and salmon), dairy, walnuts and seeds as these are natural, high-quality protein sources. Trans fats cause a series of problems, from heart-related issues to elevated cholesterol and obesity. However, they are bad for your brain as well, as they make your brain more sluggish, they affect your reflexes and the quality of your brain response – not to mention that they increase the risk of stroke! Trans fats can also have other effects on your brain: if consumed for too long, they can result in a sort of brain shrinkage that is somewhat similar to the shrinkage caused by Alzheimer’s disease. This brain shrinkage takes place due to the fact that trans fats slowly damage the arteries – you can prevent this and lower the stroke risk by simply limiting your intake of trans fats. When people try to lose weight, they tend to think that they will become slim overnight by simply replacing sugar with artificial sweeteners. It is true that artificial sweeteners do contain less calories, but they can actually do more harm than good! If used for an extended period of time, artificial sweeteners can cause brain damage and interfere with your cognitive capacity, especially if you use high amounts of sweetener. Despite the fact that nicotine is not really a food product, it still wreaks havoc on your brain by restricting the blood flow to this important organ, along with the regular flow of glucose and oxygen. Nicotine not only causes premature aging, bad breath and poses an increased risk for lung cancer, but it also affects the production and the function of neurotransmitters by tightening the capillaries, the tiny blood vessels that play a pivotal role when it comes to your brain function. Ingin menurunkan berat badan sebesar 5 kg dalam satu minggu saja, tanpa lapar sama sekali? Tanpa merasa bosan dengan menu yang itu-itu saja, porsi yang tiba-tiba mengecil karena sedang diet, atau masalah-masalah lain yang dapat menyebabkan gagal diet. Diet General Motors (Diet GM) bisa menjadi salah satu solusi untuk mereka yang butuh diet dengan penurunan berat badan secara cepat tanpa harus mengkhawatirkan rasa lapar ataupun bosan karena diet yang monoton. Diet GM pertama kali digagas khusus untuk para pegawai di perusahaan General Motors, Amerika Serikat. Program diet 7 hari ini di uji oleh John Hopkins Research Center dan telah disetujui oleh jajaran manajemen puncak General Motors. Tujuan utama diet ini adalah sebagai salah satu fasilitas program kesehatan dan fitness di lingkungan General Motors. Diet GM dirancang untuk menurunkan berat badan sekitar 5-8 Kg dalam satu minggu. Diet GM juga bersifat detoksifikasi serta memperbaiki pola makan serta emosi. Hari kedua hanya dibolehkan makan sayur-sayuran. Apa saja baik mentah maupun matang. Bisa dimasak tumis, sup ataupun rebus. Tidak ada batasan jumlah ataupun tipe sayuran dan boleh makan hingga kenyang. 500 gr daging sapi dan 6 buah tomat menjadi menu utama di hari kelima. 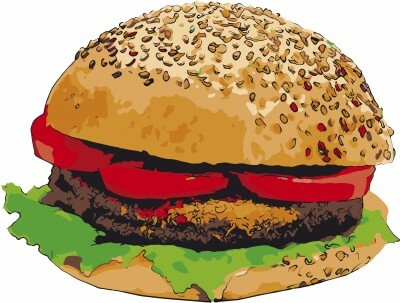 Hamburger dibolehkan. Tingkatkan konsumsi air putih untuk membersihkan sistem pencernaan. Daging sapi bisa diganti dengan daging ayam tanpa kulit atau tempe bagi yang vegetarian. Di hari keenam boleh memakan kombinasi sayuran dan daging dalam jumlah yang tidak dibatasi. Discover which ‘healthy’ actions might be having a negative impact. The basics of staying healthy seem pretty easy to follow: Eat well, exercise, get enough sleep and you should be on the right track, right? Surprisingly, it can be more complicated than that. Oftentimes the very choices we make to benefit our health can be the same ones that hurt us in the long run. Read on to learn which unexpected habits — like brushing your teeth after every meal or slipping into a pair of comfortable sandals — might be causing you harm. 1. Compulsively using hand sanitizer. If you reach for hand sanitizer any time you make contact with the outside world, you might want to take pause. Unless you’re in an especially germ-prone place like a hospital, soap and water will work just fine, says Richard Gallo, MD, PhD, chief of the Division of Dermatology at the University of California-San Diego. When you’re not near a sink, hand sanitizing gels can help, but be sure to read the label first. Recent research has shown that those containing triclosan may promote bacteria and virus resistance to antibiotic medications (this goes for antibacterial hand soaps that contain triclosan, too). Instead, choose brands like Purell, that contain at least 60% alcohol, which will kill 99% of bacteria on contact. 2. Experimenting with skincare products. Who isn’t tempted to buy the latest skin creams and serums promising to shed years from your face? While looking for something that works for you is a good idea, overhauling your routine every few weeks in search of the fountain of youth isn’t. "I’ve always encouraged my patients to create a daily regimen and stick with it," says Jody Levine, MD, a dermatologist in New York City. "Women get easily bored with their beauty routine, especially if they don’t see results right away. It can take between six and eight weeks to see changes; if you’re using a product to increase collagen, expect to wait six months to see results." She often cautions patients against constantly changing products, noting that it may cause adult rosacea (a condition that results in red, patchy and sometimes inflamed skin). "People may be forming sensitive skin by trying out too many different products with high levels of fragrance and other sensitizers," Dr. Levine says. In lieu of always trying something new, stick with what works for you, or see your dermatologist to develop a new routine. And manage your expectations — according to Dr. Levine, a consistent regime should "keep your skin clear, clean and smooth. Make that your rule of thumb and don’t expect miracles, especially when it comes to over-the-counter antiaging products." Forgoing sky-high heels and toe-pinching boots for the freedom of flip-flops is giving your feet a much-need break, right? Not exactly. Turns out, your summer shoes aren’t doing you any favors. According to Jordana Szpiro, DPM, a podiatrist and foot surgeon in Boston, "Flip-flops and other unsupportive sandals, which have no arch support and give no structural support to the foot, can lead to stress fractures since your uncushioned feet become strained when they try to support too much weight," she explains. "Extensor or flexor tendinitis is also a common problem that happens as a result of trying to keep your flip-flips on — the muscles on top or underneath your feet overexert themselves while trying to grip your shoes." She also advises against walking around shoeless, even if you’re by the pool or in your gym’s locker room. "Aside from not giving your feet any support, going barefoot can also be challenging for those prone to infectious skin diseases such as plantar warts and athlete’s foot, which are easily spread poolside, in pedicure salons and in gyms." But that doesn’t mean you need to spend your summer in closed toe shoes. Dr. Szpiro recommends comfortable sandals that also provide plenty of support, like styles from Fit Flops, OrthoHeel and Mephisto. 4. Brushing your teeth after every meal. Rushing to brush immediately after every meal may seem like a great way to keep your oral health in check, but according to Greg Diamond, DDS, a New York City periodontist, it’s better to hold off. Food can leave acid on your teeth, which can weaken the enamel, "and brushing while the enamel is in a weakened state can actually scrub the enamel away." To dislodge any food particles that may remain after eating, he recommends simply rinsing your mouth out with water and saving the brushing for morning and night. Then when you do brush, be sure to do so in a circular motion. According to Dr. Diamond, this will improve your chances of removing harmful bacteria between the teeth and gums. Brushing up and down or back and forth, on the other hand, can leave behind harmful bacteria, causing gum disease; while applying too much pressure can lead to receding gums. 5. Doing only cardio when you work out. It’s easy to assume that the best way to lose weight is to stick to the same cardio workout, but "if you only do cardio, your body will become so accustomed to the routine that you’ll start to burn less fat over time," says Joseph Ciccone, DPT, CSCS, a physical therapist at ColumbiaDoctors Eastside Sports Therapy in New York. Plus, going through repeated motions on the treadmill or elliptical machine can create tight muscles and lead to injury. Trade in a few of your cardio workouts for circuit training, which involves doing a number of different strength training exercises with little rest between moves in order to keep your heart rate up while also working out your entire body, ensuring that you’ll burn the most calories — without burning out. Integrating resistance training into your routine will create muscle mass, which will help you burn more calories throughout the day, even when you’re at rest, says Jennifer Fleischer, exercise and nutrition coach and owner of Holistic Fitness in San Francisco. She also recommends revamping your cardio routine by mixing in interval training once a week. Try doing 30 seconds of high intensity motion, whether you’re on the treadmill, elliptical machine or in the swimming pool, followed by 90 seconds of recovery at a moderate pace, working your way up to 10 repetitions. The bursts of intensity followed by recovery will effectively and efficiently blast calories and fat. 6. Skipping meals to "save up" for later. "Women have gotten into the habit of saving their calories for the fun stuff later on," says Danine Fruge, MD, associate medical director at Pritikin Longevity Center + Spa in Miami. For example, many women will hold off on eating lunch so that they can have a few glasses of wine to unwind at the end of the day. Not a problem as long as you’re carefully allocating your calories, right? "Unfortunately when you don’t eat breakfast or lunch you can develop cravings and irritability, which can lead to overeating later on in the day," she explains. A smarter approach to eating: Fill up on protein-packed meals and nutrient-rich snacks that’ll keep your satisfied all day, so when dinnertime or cocktail hour rolls around you won’t be tempted to fill your plate with calorie-rich and high-fat foods. 7. Drinking only bottled water. By reaching for a bottle of H20 you may think you’re doing your body some good by avoiding tap water, which can be filled with who-knows-what. But that’s not the case. "Bottled water contains no fluoride, and we’re seeing more and more adults suffer from a fluoride deficiency, which can lead to tooth decay," says Dr. Diamond. "Instead, fill your glass with water purified by a Brita or PUR water filtration system" which will keep your water free from impurities commonly found in tap water, but still allow you to reap the benefits of fluoride. 8. Cleaning with disinfecting products. While keeping your home pristine and germ-free may seem like the path to perfect health, using cleansers that boast antibacterial or disinfecting properties could have the opposite effect. "These products haven’t been proven to be any more effective than regular cleaning products, and there is significant evidence that the chemicals in these disinfecting cleansers — called quaternary ammonium compounds — can lead to asthma," says Rebecca Sutton, PhD, senior scientist at the Environmental Working Group. Other cleaning product chemicals to avoid include 2-butoxyethanol, which the Environmental Protection Agency considers a human carcinogen and has been linked to cancer; alkylphenol ethoxylates, which can disrupt hormones; and ethanolamines, which can cause asthma. But because cleaning product companies aren’t required to list most ingredients on their product labels (you can call or go online instead), it can be tough to know what to buy. However, Seventh Generation, an eco-friendly company, clearly lists their ingredients on their labels, so that’s one option. Another, which Dr. Sutton recommends, is cleaning with a mixture of one part water and one part vinegar, or scrubbing surfaces with baking soda, both of which have natural antibacterial properties. She emphasizes that when it comes to ousting germs, the key is cleaning often and thoroughly—not blasting every surface with the harshest cleaner you can find. "Your goal should be to clean regularly," says Dr. Sutton. "That way you’ll get rid of dirt, so there’s no place for bacteria to grow." 9. Loading up on nutritional supplements. When it comes to vitamins and minerals, more is better, right? Not always, says Christine Rosenbloom, PhD, RD, professor emeritus at Georgia State University. "People often take nutritional supplements without really understanding what they’re consuming, or if they really need them." Because so many foods are fortified these days, she notes that chances are many of us don’t have any major nutritional deficiencies. If you are already getting enough of what you need, the best case scenario is that the supplements will have no effect on you. But there are more serious side effects of carelessly popping pills: Vitamin A in large amounts can be toxic to a developing fetus, vitamin C in large doses can cause gastrointestinal distress as well as interfere with glucose readings in people on diabetes medications and too much vitamin B6 can cause nerve damage. Since a 2009 study in The American Journal of Clinical Nutrition concluded that in the absence of a deficiency, eating food instead of taking supplements should be the primary way to fulfill nutritional requirements and deliver health benefits, Dr. Rosenbloom suggests visiting MyPyramidTracker.gov where you can input the foods that you eat daily and the site will tell you what you need to add to your diet. If you find out that you need to up your intake of, say, calcium, "try integrating calcium-rich foods into your diet, like a glass of skim milk or a spinach salad," before making a beeline to the supplements aisle. If you do learn that supplements are the best choice to remedy a deficiency, look for "USP" printed on the label, which signifies that the pill meets the standards of the testing organization U.S. Pharmacopeia. This article is reprinted with permission from WomansDay.com. 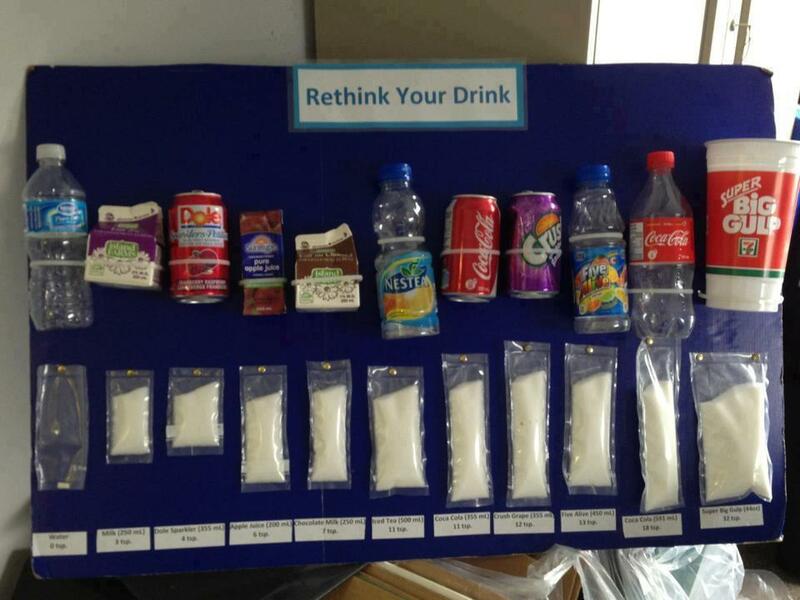 Rethink your drink! It’s full of sugar.